Berry College is located on Mount Berry near Rome, Ga., about 70 miles north of Atlanta. This is gorgeous country and the slogan of the Berry Half-Marathon, run entirely on the school campus, is -- Beauty every step of the way. There is also a 10K and 5K run in conjunction with the half-marathon. The race Website invites you to experience the largest campus in the world -- Berry College's 27,000-acre wonderland with its historic buildings, pristine Georgia mountain forest and diverse wildlife. You're further invited to run among some of Berry's 1200 plus deer and enjoy the hospitality of the school. 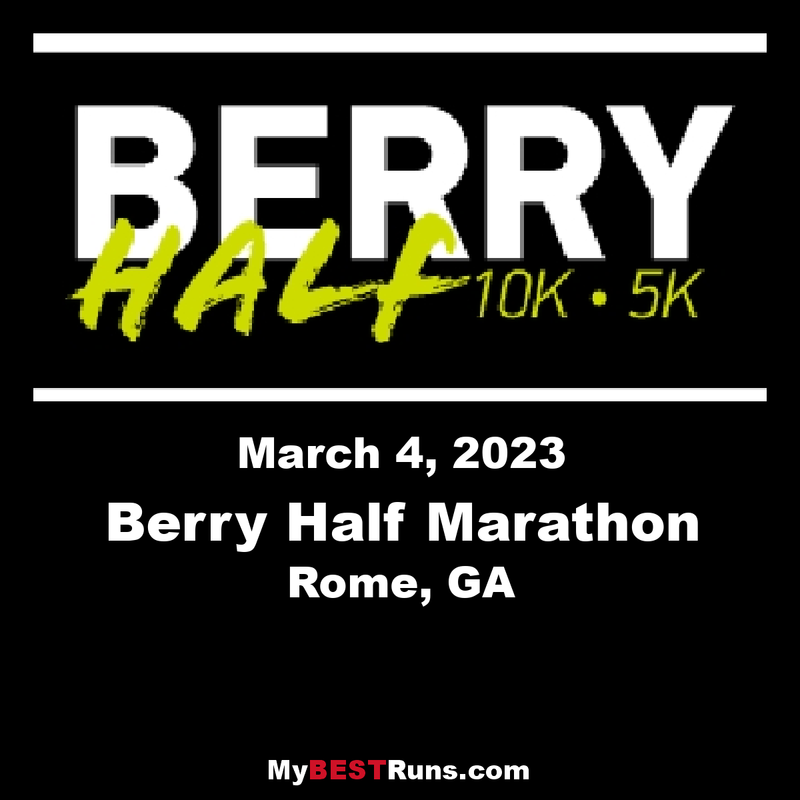 There are no public roads on the Berry Half-Marathon course. The race follows the "stretch road" to the mountain campus, past Frost Chapel, Berry College Elementary and Middle School, the Old Mill, through the WinShape dairy barns, down Possum Trot Road, and back to the main campus on the Viking Trail to the finish line at the Ford Buildings. This is a relatively flat course with a few moderate hills. The bulk of the course is a paved surface with a short distance on hard-packed dirt road (mile 6-7 to the Old Mill) and another short distance on gravel (mile 8-9 on Possum Trot Road). The 10K and 5K races are also held on the picturesque Berry College campus. Beauty every step of the way indeed, and an absolute jewel of a running competition! This is a relatively flat course with a few moderate hills. The bulk of the course is run on paved surface with a short distance on hard-packed dirt road and another short distance on gravel.